When it comes to winter sports, backcountry skiing and riding is the ‘new black’. With more and more snow media attention on the topic, and continued development of lighter and better alpine touring and splitboard gear, growing numbers of people are leaving the resorts and venturing into wilder terrain. “The most challenging skiing and riding in Australia is outside resorts: from the western slopes of the Main Range of the Snowy Mountains to the eastern face of Mt Feathertop, Australia has world class terrain that few resort skiers and riders have ever seen” said festival organiser Cam Walker. “Around the world there are many well established backcountry festivals, from Tailgate, which is held in Thompson Pass in Alaska, to Winterstoke, based out of Whitewater Ski Resort, British Columbia. Now its time for Australia to join the party. 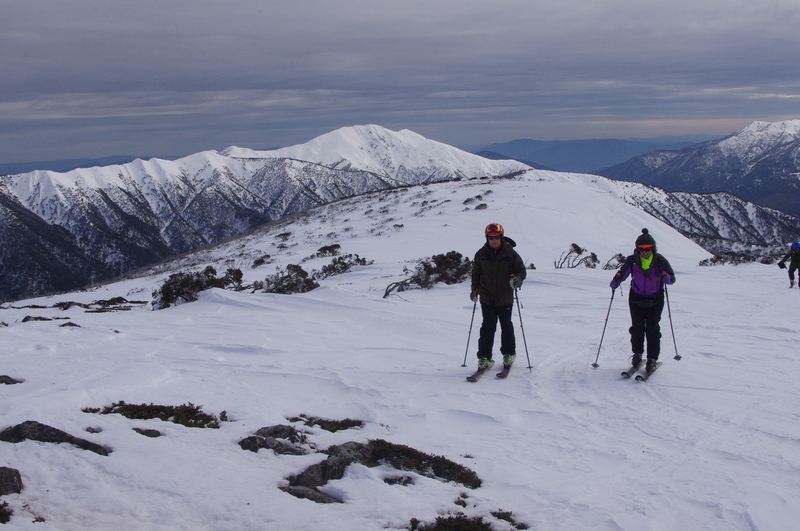 The Victorian backcountry festival will happen the week after the split-board specific Splitfest and be held on September 1 (the southern hemisphere’s celebration of World Telemark Day). There will also be AST level 1 avalanche training courses available. It will happen out of the Windy Corner Nordic Centre at Falls Creek resort in north east Victoria. There will be clinics, tours, workshops and demos. The day will end with an outdoor bar run by local brewery Sweetwater, and Australia’s first mini film festival featuring only Australian made backcountry films. (These films will all be under 7 minutes long and include a presentation from well known outdoor film maker Stephen Curtain). Full details here. The Sunday will feature other tours, a big telemark gathering, and hopefully a ski-mountaineering race. To be recognised as a ski-mo course, it must include a minimum of 1,000 metres of vertical. “We’re still working out the details of the ski-mo race and will be making an announcement before winter”. The festival is a collaboration between Mountain Journal, Mountain Sports Collective and Falls Creek Cross Country and is being supported by a range of businesses and organisations. There is still room for extra people and businesses to get involved. We would especially welcome women offering films or to guide tours. Further information on ways of getting involved are listed here. This is a free event, although Falls Creek resort charges an entry fee . Participants join the festival at their own risk.